The Town Clerk is the Council’s principal executive and adviser and, for many smaller parish councils, is the officer responsible for the administration of its financial affairs. The Clerk is not answerable to any individual councillor – not even the Chairman. She is an independent and unbiased employee of the Council, recognising that the Council is responsible for all decisions and taking instruction from the Council as a body. 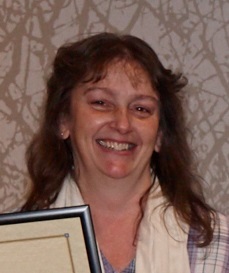 The Clerk is the line manager to other members of staff. As the Council’s proper officer, the Clerk is responsible for implementing Council policy; ensuring the Council acts within the law; advising the Council on all aspects of its work and may have delegated powers of decision making especially in urgent situations. It is the Clerk who prepares and posts notices, is responsible for writing the agenda and minutes, keeps the Council’s records, deals with correspondence, arranges the Council’s insurance and issues the Precept. The Town Council’s grounds maintenance team is made up of three members of staff. Ken Wannop is our Parks Manager, Dave and Aaron are our Park Supervisors. 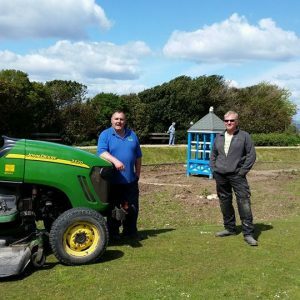 The Town Council’s grounds maintenance team is responsible for maintaining The Green, as well as looking after the playgrounds, sports facilities and grass cutting of other areas in the town. The grounds maintenance staff work really hard to maintain the Green and other areas to a high standard. The Green Flag Award recognises Silloth Green as a well-managed, high-quality green space which could not have been achieved without the dedicated work of our grounds maintenance team. 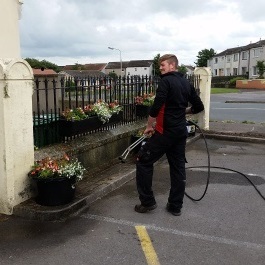 The Town Council employ two part-time cleaning staff who are responsible for cleaning the public conveniences on Silloth Green throughout the year and also Silloth Community Hall. The staff work really hard to achieve high standards. The Green Flag Award recognises Silloth Green as a well-managed, high-quality green space which could not have been achieved without the dedicated work of our cleaning staff. Employees whose salaries are £150,000 or more must also be identified by name. The Town Council has NO employees whose salaries are over £50,000.